The West Boca Snappers are looking to improve on a season last year that included their first playoff birth and playoff victory. One of a few key returners for the team will be OF Dan Blazejewski from Anderson University. Dan was an SFCBL All-Star a year ago and will look to have another big summer at the plate. 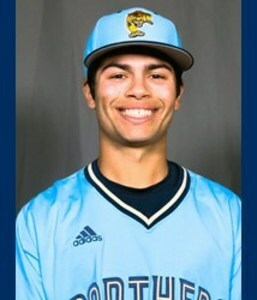 On the infield West Boca brings back Parker Stephens from Wallace Community College in Alabama. Stephens is having a great year there and has committed to play at Valdosta State next year. The Snappers will also be leaning heavily on returning RHP from Palm Beach State Moise Carrasco. He has posted a 1.75 ERA with 29 K's in 25.1 innings this spring. Moise will look to be the front runner to lead the Snappers staff throughout the summer. In an interview with GM Ryan Lamb he says, "After the boys finished last year strong they're feeling good about their chances to make a deeper run with some key additions for 2018." His organization has looked to build depth in the roster by adding some big time bats from the local NJCAA schools. Two of those bats come from the State College of Florida with signings of INF's John Pichman and Collin Moore. Pichman has shown great power all spring and is currently hitting .322 with 8 HR and 13 doubles. Meanwhile Moore has also hit 3 HR and 4 doubles in limited at bats behind top draft prospect CJ Alexander. The Snappers have also added two top of the line up bats with the everyday SS from Florida International University Derek Cartaya and 2B Tom Archer from Lynn University. Cartaya is a tough out every time he steps in the box and is currently hitting .330 as the lead off for the Panthers. Archer has been able to do it all for the Lynn Fighting Knights this year as he's hitting .333 with 6 HR and 28 RBI's. Snappers third year Manager Ross Smith said this about the 2018 lineup, "I haven't been this excited about a summer team in a long time. Our lineup is built to last with depth from top to bottom." The West Boca team will turn to first year head coach Dylan Wolchik from Limestone College out of the Peachbelt Conference. Where he is currently the assistant coach and head pitching coach since 2016. Wolchik was a two time conference leader in wins during his time as the Friday night guy at Lander University. Along with Manager Ross Smith and Dylan Wolchik the coaching staff will be assisted by Nick Lawrence. For all up to date Snappers information on roster, stats and schedules please visit the team website snappersbaseball.org.